Profiles of these architectural and construction marvels make fascinating reading: how the buildings were the centerpieces of various communities, the hopes of investors and families trying to build their fortunes, to create something meaningful and durable, to leave a mark. The Oregonian Tower, the Worcester Block, the Forestry Building, the Beth Israel Synagogue the distinctive Witch Hazel building (below), virtually every commercial building on Front Avenue. Any of these places would be a revered landmark today. It’s a sad parade of losses captured thoughtfully by Ballestrem and woven through with insight about decades of social and economic change in the Portland landscape: the up and down cycle of the economy and the perils of deferred maintenance; periodic Willamette River flooding; institutional racism and the dynamics of changing demographics; failures of long-term thinking and planning. The automobile. 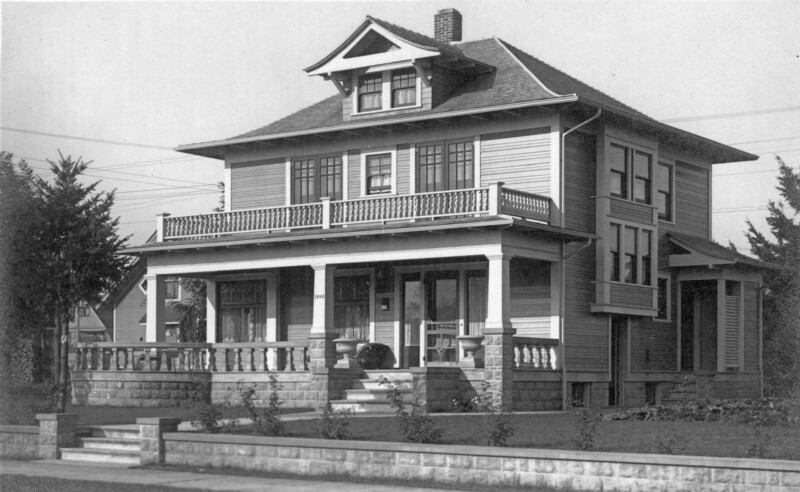 The Witch Hazel Building–later known as the Ohio Hotel– stood at the southeast corner of SW Front and Madison near the foot of today’s Hawthorne Bridge from 1891-1941. 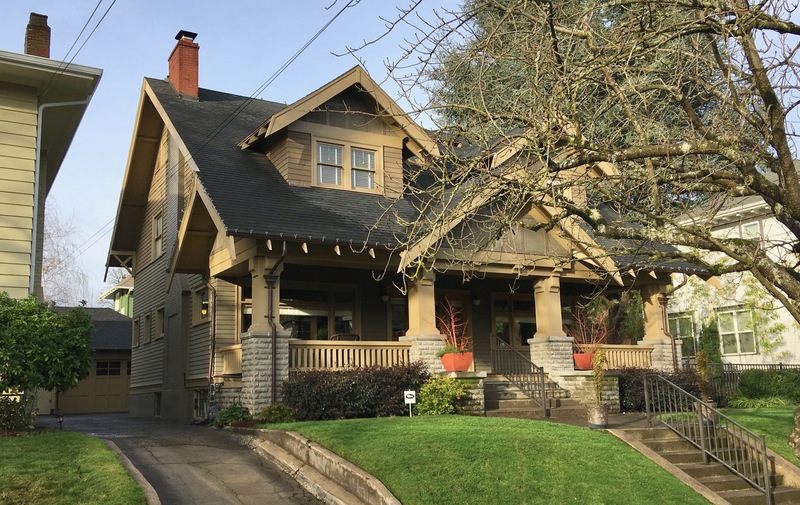 It’s one of more than 50 buildings profiled in Val Ballestrem’s new book Lost Portland Oregon. 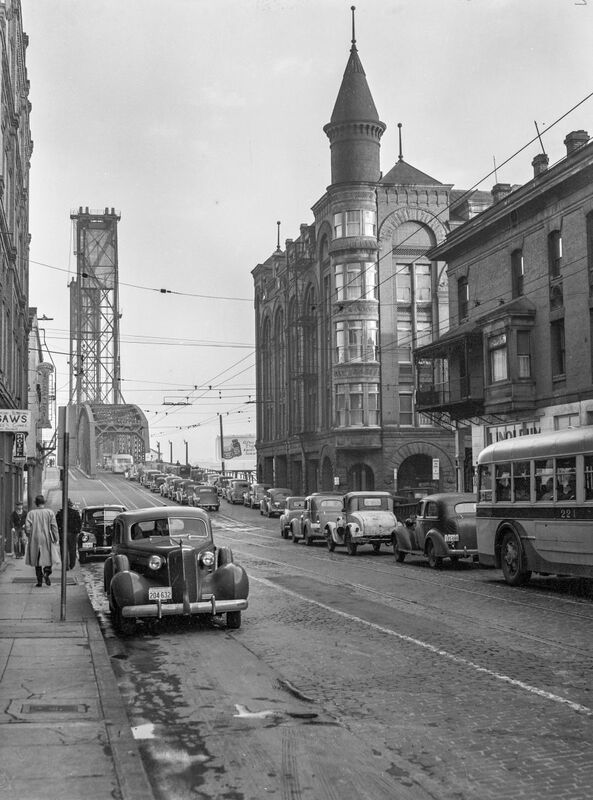 Photo: Minor White, Witch Hazel Building and the Hawthorne Bridge, 1940. bb015335, Oregon Historical Society Research Library. Commissioned by the Works Progress Administration, public domain. Despite their size, prominence and impact on the community, in the end none of these great built achievements survived. Their greatest common denominator today is that a majority of their footprints have been turned into parking lots. Sigh. 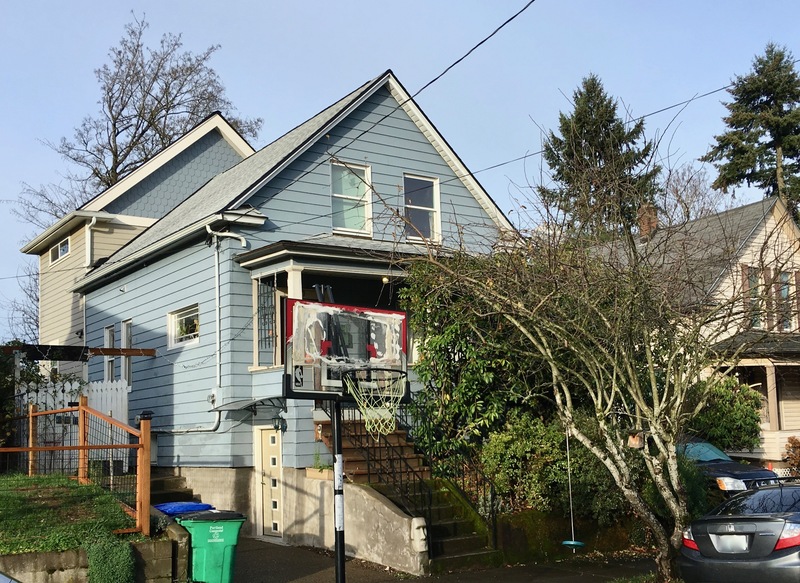 To reassure ourselves that it is possible (and admirable) for a building to survive a century in the midst of the great forces of change, we’ve tracked down three houses in our then-and-now travels in North and Northeast Portland to serve as inspiration. 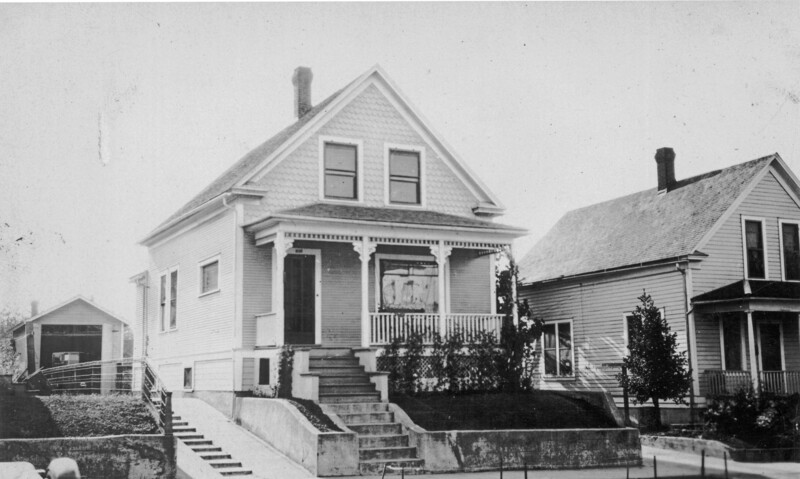 Enjoy these pairs (click each to enlarge)–with thanks to the Norm Gholston Collection for the oldies–and go pick up a copy of Val’s book for your Portland history bookshelf. Thanks again, Doug. Most beautiful building about where the new Courthouse is now rising. 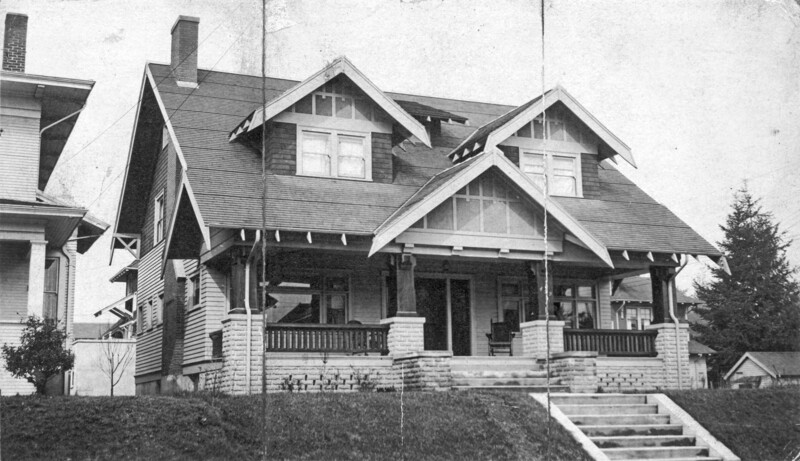 As it was demolished in 1941, I see it through the eyes of my parents. 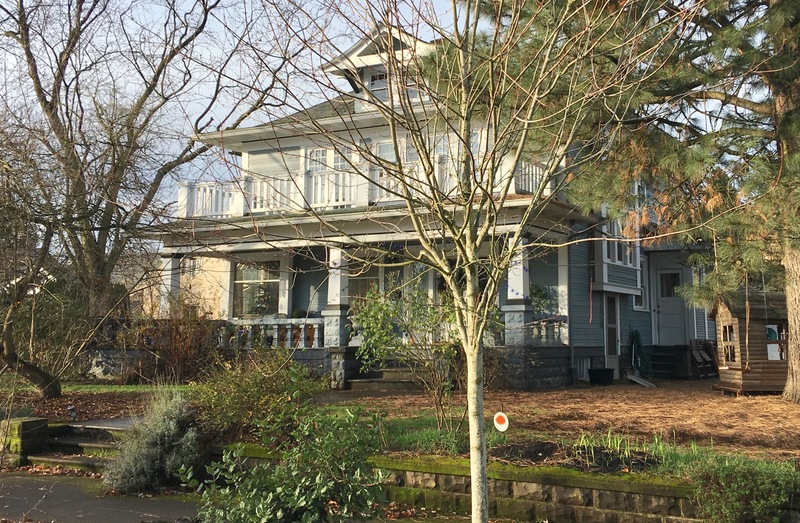 My mother lived close-by — what is now PSU campus/I-405 (SW College St.). She must have been very familiar with this area…and that whole era. She was a young lady in 1941. Minor White was a most interesting character and photographer who took many classic pics of old Portland.